Wander into our charmingly rustic Denali restaurant to refuel before your next adventure. It's just off the beaten path. 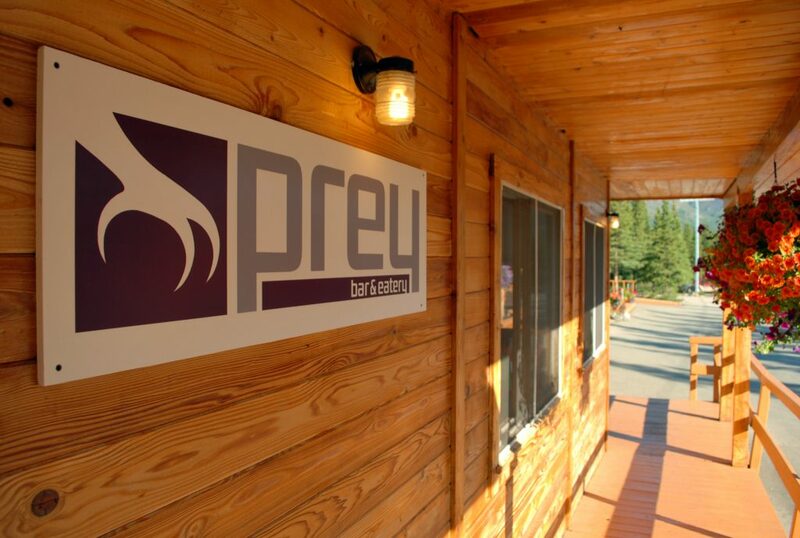 At Prey Bar & Eatery, we serve up an Alaskan twist on classic pub favorites like mac 'n' cheese, fish 'n' chips and an assortment of burgers and sandwiches. We accept orders for fresh boxed lunches the day prior to your planned Denali activities! Call us for details or see our menu. Open daily during summer, May 20 through September 15, 2017.